You will be delighted by the central location, excellent service and spacious rooms at the DoubleTree By Hilton Fort Smith City Center. The hotel offers a business center, fitness center, indoor pool, restaurant, lounge and free on-site parking. There is complimentary airport shuttle and within 5-mile radius of hotel. 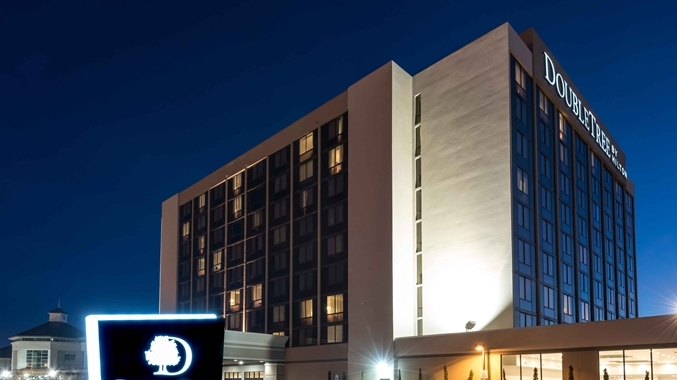 The Doubletree by Hilton is just steps away from the Fort Smith Convention Center. Rates are $99 for a double queen or a single king. All rooms offer modern amenities including complimentary WiFi access. To reserve your room call 479-783-1000 and ask for the Women’s Living Expo Room block to receive the special Exhibitor Rate. The hotel is located at 700 Rogers Avenue in Fort Smith, adjacent and attached to the Fort Smith Convention Center. $7 Admission ($5 w/coupon) Kids 8 & under are free, Free Parking!